Joanna Bichsel is the CEO and Co-Founder of Kasha, an ecommerce company for women’s health and personal care in Rwanda and piloting in Kenya, offering confidential access to products like contraceptives and menstrual care to women of all socioeconomic levels in urban and rural areas. Joanna was raised in Canada, has a Bachelors Degree in Computer Science and has worked on technology solutions around the world. Early in her career, Joanna spent 11 years at Microsoft as both an engineer and a business leader. 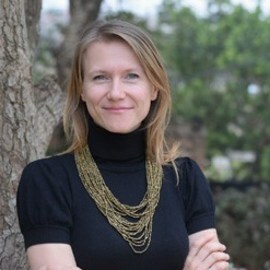 Prior to starting Kasha, Joanna was the Principal Technology Advisor for Global Development at the Bill & Melinda Gates Foundation, working across East and West Africa and South Asia on technology strategies and solutions to optimize the supply chain of vaccines and health commodities, health services delivery, agriculture and fintech. Joanna lives in Kigali with her husband and two children.